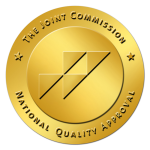 In all honesty, the conversation about drug addiction and the journey to sobriety can be particularly difficult to have. However, there are various celebrities that have openly told their stories and have inspired multitudes of people through their journey to sobriety. Let’s look at the various celebrities that managed to overcome their addiction and have actually become an inspiration in their recovery. Legendary rapper Eminem openly discussed his addiction to painkillers back in 2007 that caused him to gain a lot of weight. He was about 230 pounds because his addiction to painkillers caused a hole in his stomach that could only be soothed by eating constantly. 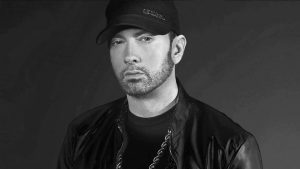 This past April, Em celebrated 10 years of sobriety with many of his fans and friends offering support for the rapper’s accomplishment. Friend and colleague, Royce Da 5’9′ shared on social media, “Happy sobriety birthday to my mentor @Eminem … Keep fighting the good fight homie … I love you for life”. Hollywood star Jamie Lee Curtis admitted to being so desperately addicted to drugs that she at some point stole painkillers from her own sister. Jamie talked about the roots of her addiction stating that it was after her cosmetic surgery that she became hooked to painkillers at the age of 35. 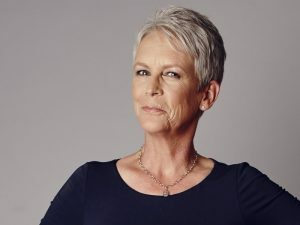 Jamie Lee Curtis is a constant on the big screen and small screen, with 2018 bringing us another installment of the Halloween series, with Curtis at the helm. She is proof that in sobriety, great things happen when you do the next right thing. Robert Downey Jr. is a household name and he is easily one of the most celebrated stars in Hollywood, but that wasn’t always the case. Robert’s addiction started from a very tender age of 10 years when his father, who was a drug addict himself consciously gave the drugs to him. It was that introduction to drugs that grew his love for illicit substances and led him to a path full of cocaine and heroin among other things. His addiction was so severe that he spent a lot of time in the back of police cars and ended up serving 180 days in jail. “What would Bruce Lee do?”, that is the question that threw Robert Downey Jr into a martial arts program which consequently changed his life and earned him opportunities that helped him make his great comeback in Hollywood. Now known to everyone as Iron Man thanks to his role in the Marvel Cinematic Universe, Downey has regained his status as an A-List actor. Popular musician, actress, and Disney darling, Demi Lovato started having drug problems at a young age as well. Her first encounter with cocaine was at the age of 17. She explained her drug abuse history extensively in her YouTube documentary, Simply complicated. After taking matters into her own hands and seeking help, Demi came out of rehab in 2011 after which she was diagnosed with bipolar disorder. 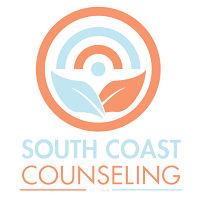 She has been very open about her mental health and her journey to sobriety, even assisting in opening her own treatment center, and up until her recent relapse she had been sober for about 6 years. 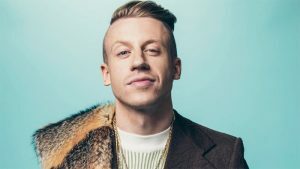 Macklemore has been very candid with his fans as well as the public about his drug addiction despite the stigma that often comes with it. The Grammy winner talked about his introduction to alcohol at the age of 13/14 where he drunk alcohol by himself and things only went downhill from there because he started using more intense drugs down the road. His great passion for music is what motivated him to want to be sober but he constantly relapses, occasionally writing songs on recovery while he was still using. It was after his overdose where he joined a rehab community and has been telling fans about his sobriety journey. 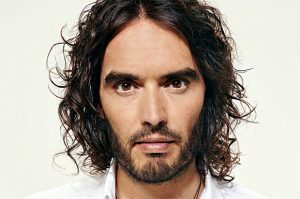 Russel Brand’s was addicted to cocaine, alcohol, and heroin up until 2002 when he was sent to the UK’s Focus 12 Rehab center and thankfully he is now a decade sober. He has become one of the greatest advocates for sobriety and has urged many addicts to seek help in his many articles and his book “Recovery: Freedom From Addictions”, which includes a retelling in his own words of the 12 Steps.